New South Wales Roads Minister Duncan Gay is seeking a review of the National Heavy Vehicle Accreditation Scheme (NHVAS) in the wake of the Cootes Transport probes. Gay has written to National Heavy Vehicle Regulator Chairman Bruce Baird requesting that the review include a focus on maintenance management under the NHVAS and will seek national approach to the initiative. "In addition, I will take the matter to the next meeting of all states and territories at the Standing Council on Transport and Infrastructure, known as SCOTI, which is chaired by the Deputy Prime Minister of Australia." Emphasising the "through state" nature of his state, he contrasted NSW heavy vehicle inspection regime with those of other states. "NSW has the largest, best equipped and most active heavy vehicle inspection capabilities in the country and we spend more on enforcement and compliance than any other state," Gay says. "But we still contend with being the "through state" for the eastern seaboard of Australia for trucks from other jurisdictions – NSW carries 60 per cent of the national road freight task. "We have the safest fleet in the country but we have trucks crossing our borders that do not have to be inspected annually in NSW. "Under the National Heavy Vehicle Accreditation Scheme, trucks are examined in the state where a company is accredited. An auditor checks that maintenance work has been done and that the company follows all the business rules for vehicle maintenance for the states they operate in." 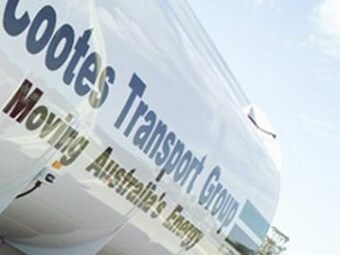 Meanwhile, amid reports of metropolitan service stations generally running dry or feeling the pinch in Victoria, NSW , and South Australia, the return of repaired Cootes vehicles can’t come soon enough for BP. "Yesterday, we were running at around 64 per cent of our normal trucking capacity," a BP spokesman says. "This is having an impact on our ability to supply service stations in metro Sydney, Melbourne and Brisbane. "Distribution to our Truckstops is being maintained." BP was running at 60 per cent of its transport capacity on Monday at the height of inspections. Supply shortfalls of certain grades for motorists generally in the two south-eastern states are not expected to ease until next week. On the inspection front, VicRoads has now looked over Cootes 205 vehicles, leading to the grounding of 79, with 181 defect notices issued – 136 major and 45 minor. "Now that the testing has been completed, VicRoads is working directly with Cootes to help facilitate the quick and safe return of their vehicles into operation," a spokeswoman says. "If a vehicle has been issued a major defect notice or has been grounded from operation, a roadworthy certificate is required. "VicRoads is already reviewing Cootes accreditation as part of the inspection process and a decision will be made on whether it should be suspended in coming days." "Companies which are not accredited under the National Heavy Vehicles Accreditation Scheme face restrictions relating to their mass and the hours which drivers can operate."